The first asparagus of the season is such a treat that it would be a shame to over-complicate it. One of the best things to combine it with is egg. The whole thing will take not much more than ten minutes. Use freshly-picked Cornish asparagus of course. Take your asparagus and snap off any woody bits from the base. Put a wide pan of water with a pinch of salt on to boil (obviously it should be large enough to take the asparagus, ideally standing upright, but that’s not too important). Meanwhile put your eggs in another pan of cold water and bring to the boil. For hard-boiled, allow about 10-12 minutes depending on size; for soft-boiled, allow about 7-9 minutes. Alternatively, if you’re a whiz at poaching your eggs, cook them that way. Once the asparagus pan comes to the boil, add the spears and allow around 5-6 minutes – test with a sharp knife. Run cold water on the boiled eggs and shell them. Drain the asparagus and add a generous knob of butter, sea salt and pepper. 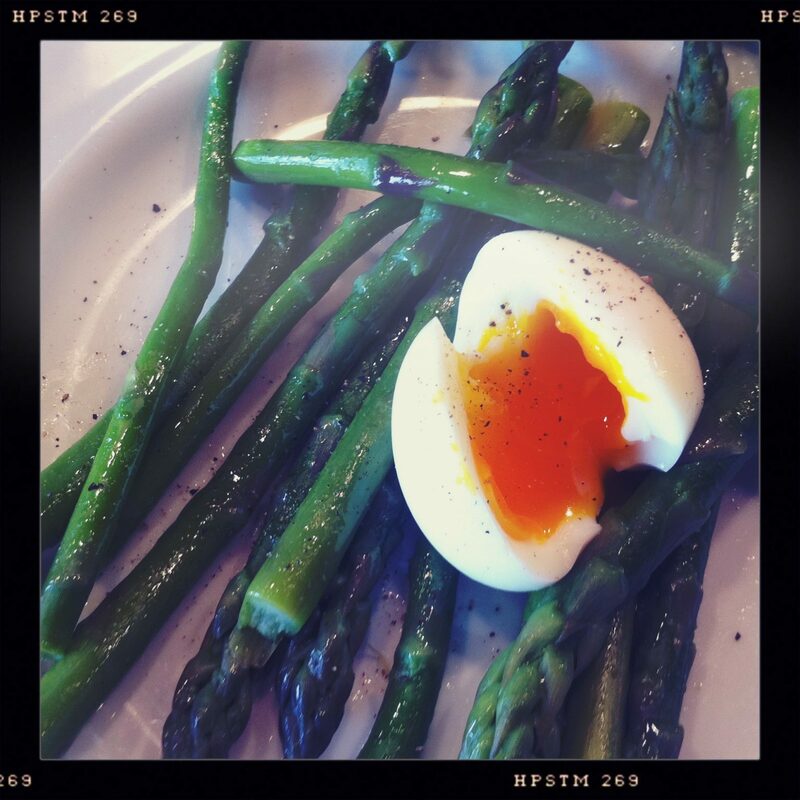 Serve the asparagus with the egg cut in half on top and add whichever of the optional extras you fancy. A green salad accompaniment would be good. New potatoes too, if you’re feeling a bit greedy.